Universities must protect free speech and "open minds, not close them," Universities Minister Jo Johnson will say in a speech in Birmingham later. He will say "no-platforming", the policy of banning controversial speakers, is stifling debate. From next April, a new regulator - the Office for Students - will have the power to fine universities that fail to uphold free speech. Universities UK has said it will not allow legitimate debate to be stifled. 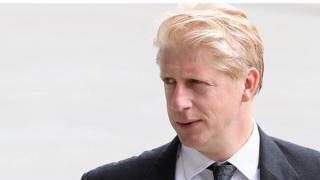 In his speech on Tuesday, Mr Johnson will say: "In universities in America and worryingly in the UK, we have seen examples of groups seeking to stifle those who do not agree with them.